Just in time for summer driving season! 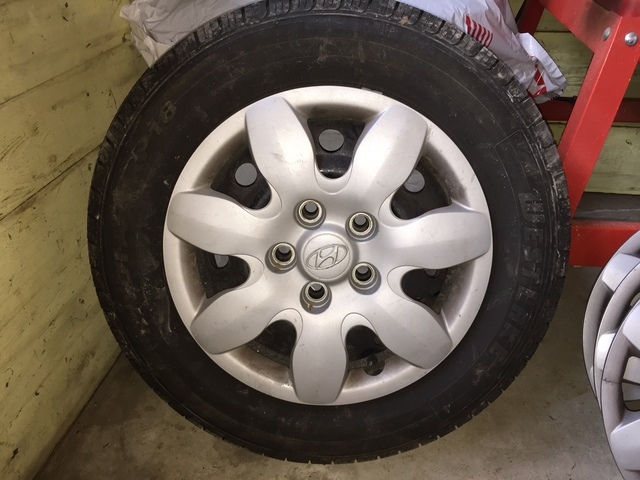 Size 195/65R15 mounted on steel rims (5 bolt pattern), plus Hyundai hubcaps if you want them! These are all season (M+S), which were used as summer tires. Only used one season, so lots of tread left. These are off a Hyundai Elantra Touring wagon, but will fit other vehicles.